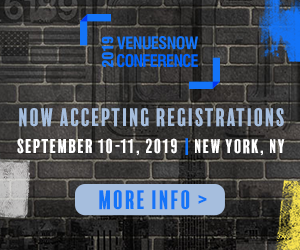 2019 VenuesNow Conference is in NY for the first time. Request your registration invitation at venuesnowconference.com. For sponsorships, contact Aki Kaneko | akaneko@oakviewgroup.com | 310-954-4733.